With cream cheese, ricotta cheese and a ground almond crust, the cake is a hybrid between American & Italian-style cheesecakes. Doesn’t this cake look like it belongs in an Italian pastry shop window? The recipe was inspired by the “Obsessive Ricotta Cheesecake” in Gina DePalma’s Dolce Italiano, Desserts from the Babbo Kitchen, one of the best cookbooks I’ve come across in a long, long time. Made with cream cheese, ricotta cheese and a ground almond crust, the cake is a hybrid between an American-style cheesecake and an Italian-style cheesecake. The fruit topping is my addition; the tart sweetness of the jam and fresh raspberries is the perfect contrast to the cake, which isn’t overly sweet. The best part is that it’s easy to make: unlike most cheesecakes, you don’t have to worry about the top cracking (or fuss with a water bath) because it all gets covered with fruit anyway. Before we begin, here’s what you’ll need for the cake (above) and the topping (below). Start by spraying a 9-inch springform pan with nonstick cooking spray. Dust with flour and tap out any excess. For the crust, combine the almonds, flour, sugar and salt in a food processor. Process until the nuts are finely chopped. In a separate small bowl, combine the melted butter with the vanilla and egg yolk. Add the liquid mixture to the nut mixture. Process until the mixture is well combined. It will look moistened and crumbly. Dump the mixture into the prepared pan. And press into an even layer. You can use your hands or the bottom of a measuring cup. Chill the crust in the freezer for about 10 minutes, then bake at 325°F for 10-15 minutes, until lightly golden. Add the cream cheese, sugar and salt to the bowl of a food processor. Process until soft and creamy, about 1 minute. Add the ricotta and process until the mixture is smooth and light, another 2 minutes. Add the eggs, one at a time, mixing for about 10 seconds after each addition. Add the vanilla, amaretto, cornstarch and orange zest. Process for a few seconds to combine. Pour the filling on top of the baked crust. And bake for about 50 minutes, until the outside is set and the center is jiggly but not liquid. It will sink and crack a bit as it cools — that’s okay since it all gets covered with fruit anyway. Let it cool completely, then chill for at least 4 hours or overnight. Before serving, spread the raspberry jam over top of the cheesecake, leaving a small border around the edges. Arrange the raspberries neatly on top. Then dust lightly with Confectioners’ sugar. Note: I made a few changes to DePalma’s cake recipe: I used raw slivered almonds instead of toasted sliced almonds for the crust; I made the filling in a food processor instead of a mixer; and I added a raspberry jam and fresh raspberry topping. Preheat the oven to 325°F and set an oven rack in the middle position. Spray a 9-inch springform pan with nonstick cooking spray; dust it evenly with flour and tap out any excess. To make the crust: place the almonds, flour, sugar and salt in the bowl of a food processor fitted with the blade attachment. Process until the nuts are finely chopped and the mixture looks sandy. In a small bowl, whisk together the egg yolk, cooled melted butter and vanilla. Add the liquid mixture to the nut mixture and pulse several times until the ingredients are well combined, moistened and crumbly. Dump the mixture into the prepared pan and, using your fingers or the bottom of a measuring cup, press into an even layer. Place the pan in the freezer for 10 minutes (or the refrigerator for 15-20 minutes) to chill; then bake for 10-15 minutes, until the crust is lightly golden. Let cool on a wire rack. Meanwhile, make the filling: Combine the cream cheese, sugar and salt in the bowl of a food processor fitted with the blade attachment. Process until soft and creamy, about 1 minute. Add the ricotta and process until the mixture is smooth and light, another 2 minutes. Add the eggs, one at a time, processing for 5-10 seconds between each addition. Add the vanilla, amaretto, cornstarch and orange zest and process until mixture is just combined (do not overmix). Pour the filling into the crust, smoothing the top with a spatula. Bake the cheesecake for about 50 minutes, until the top is lightly golden, the edges are set and the center is quite jiggly but not totally liquid (it will continue to cook as it cools). Carefully remove the cheesecake from the oven and allow it to cool completely on a wire rack. It will sink a bit -- that's okay. Once cool, If necessary, run a thin-bladed knife around the edge of the cake to make sure it's not sticking to the sides (which can cause cracks as it cools), then cover with plastic wrap and transfer to the refrigerator to cool for at least 8 hours or overnight. For the topping: After the cake has chilled, spread the raspberry jam evenly over the top of the cheesecake, leaving a 3/4-inch border around the edge of the cake (essentially, the jam goes on the sunken part of the cake). Place the raspberries evenly over top. Using a fine sieve, dust the top of the cake with Confectioners' sugar. Cover and refrigerate until ready to serve. For serving: Remove the sides of the springform pan. Serve the cheesecake right from the base of the pan; or, to transfer it to a serving platter, run a long, thin spatula between the crust and the pan bottom, and then use two large spatulas to carefully transfer the cheesecake to a serving dish. Slice with a sharp knife, wiping the knife clean between slices. The cake keeps well for several days. Freezer-Friendly Instructions: The cheesecake may also be frozen without the topping for up to 3 months. To freeze: place the cake in the freezer briefly, unwrapped, to firm it up. Then double-wrap it tightly with aluminum foil or plastic freezer wrap, or place it in heavy-duty freezer bag. Thaw in the refrigerator the night before you plan to eat it. Prepare the topping prior to serving the cheesecake. Hi Diane, I’ve never made this without a crust but suspect that it would work. It may be a little bit more challenging to serve, though. Please let me know how it turns out if you try it! Hello, I plan on freezing this cake for a few weeks. Should I cool it in the fridge first? And (this is probably a silly question but…) should I remove it from the pan before putting it in the freezer? PS. I will rate the recipe after I serve it on Christmas. Sounds great and easy. Hi Roxane, The cheesecake should be cooled completely in the fridge before freezing. And, after you’ve placed the cheesecake in the freezer for a little while to let it firm up, I’d suggest removing the sides of pan and then double wrapping it tightly in foil or placing it in a heavy-duty freezer bag. Hope that helps and that everyone enjoys! Jenn, I’m looking for a cheesecake recipe that yields a VERY dense cheesecake, a la Katz’s Deli in New York. Is this the one? Thanks! Actually, I would recommend this one instead. Hope you enjoy! Can i use a blender instead of food processor???? Hi Amber, I’m not sure a blender will be powerful enough to mix this filling (since there isn’t a lot of liquid) but you can give it a shot. How’s about not only providing a picture of the ingredients, but also listing all of the exact amounts for each of the components. One could easily misjudged by the photo & add too much or too little. Would love to make this but not unless I have precise measurements. Thanks very much. I’m sure many others will appreciate that too! Hi Sandi, If you click on the recipe tab at the top, you’ll find the exact quantities. Sorry for any confusion! I’m going to make this tonight for my daughter’s birthday as we’re Italian and we know our cheesecake!! Here’s how I cool all ricotta cheesecakes I have made its an old kitchen trick for cheeesecakes After it cooks turn oven off and leave the oven door ajar held with a wooden spoon till cake is completely cool before taking out of the oven Works every time !!! I made this a few months ago and it turned out perfect. Although it was a big hit my husband thought the crust was not enough. Can I double the quantity of the crust? Sure, I think it would work. You may need to bake the crust for just a few minutes longer. Hello, can I not add the cornstarch, amaretto and orange zest? Or will there be a problem with the texture of the cheesecake? HI Asma, I think it’s fine to omit both the orange zest and amaretto. If you want to omit the cornstarch, I’d suggest replacing it with an equivalent amount of flour. Hope you enjoy! I made this cheese cake for my husbands 50th birthday and it was a huge hit. Hubby loved it and my father in law said, it was the best cheese cake he’s ever had. Will make this again. Thank you! Glad everyone enjoyed – happy 50th to your husband! my cheesecake is cooling in the pan. looks great. Hi Donna, sorry I’m probably getting back to you too late, but it’s best to keep the sides on the pan until right before serving. Hope it turned out nicely! Read all the great reviews so want to try and make this tomorrow. I don’t have a food processor – can I use a blender or hand held immersion blender instead? Unfortunately, it won’t work without one, Heidi – I’m sorry! Jenn!!! !please check your metric conversions. I live in the U.K. where we can only buy metrically. Imagine my surprise when I spent all morning making this for guests only to pour out a watery liquid into the crust because you understated the ricotta by 2/3 !!! I added another 250 grams and had an extra packet of cream cheese but I’m still out by 250 grams. 1 32 ounce packet is NOT 227 grams it’s almost 900 grams . I am so annoyed . I am SO sorry, Lee Ann! I try my best to make sure the recipes are all accurate, and I do have checks in place, but we’re not perfect. I have corrected this and hope you were able to salvage dessert. So sorry again! So I’ve put up several reviews from my Christmas dinner and appropriately end with this dessert recipe. I’ve made many delicious cheesecake recipes and my family agreed this is by far the best. Your recipe adds the orange flavor that is like flavor fireworks on the tounge and who doesnt like that!! And it’s just beautiful with the added raspberries not Ron mention the flavor combo worth the orange. As with the other recipes, I’ll def make this again. Thank you for your great tastes! Delicious! This is a delightful ricotta cheesecake. I followed the recipe precisely (except for baking time). The orange flavor was delicate, and the fresh raspberries provided a delightful taste/texture contrast. I made this two days ahead for our dinner party, and it held beautifully. I will absolutely make this dessert again. I did find that in my oven, using a double-walled cake pan, the cake required significantly more than 50 minutes baking time. Ah! I should have mention this as well in my review. I also needed to cook it for an additional 20 min in a water bath but it was beautiful and no cracking. Can this Ricotta cheesecake be frozen? I don’t think the problem is your recipe, but mine came out very grainy and I am very dissapointed. I just grabbed the only brand of ricotta they had at the market without researching and I believe it to be the fault of bad quality ricotta. Maybe you could suggest a brand or two you like? I am sure homeade would be superior, but then that greatly adds to the time & effort. Hi Marcy, Sorry to hear the texture wasn’t right for you. I use Galbani ricotta cheese. Hope that helps! You have listed 325 degrees to bake the shell but at what temperatire do I bake the filing for 50 minutes. I don’t see the oven temperature listed any where in your recipe. Do I bake the filling for 60 minutes at 325, 350 or what? If it’s 325 degrees for the shell & the filling it should be stated in this recipe. Hi, Sorry if you found the recipe to be unclear. Both the crust and the filling get baked at 325 degrees. Hope that clarifies! After reading all of the positive feedback I decided to use this recipe as my base for a gluten/sugar free cake. I substituted almond flour for the flour and a homemade Truvia (xylitol and stevia) for the sugar. Absolutely delicious! Great texture and taste! Thank you! I made this cheesecake for my Italian friends and they told me it brought back memories of their Italian grandmother. Thank you for the recipe. Glad you enjoyed it, Glenda. 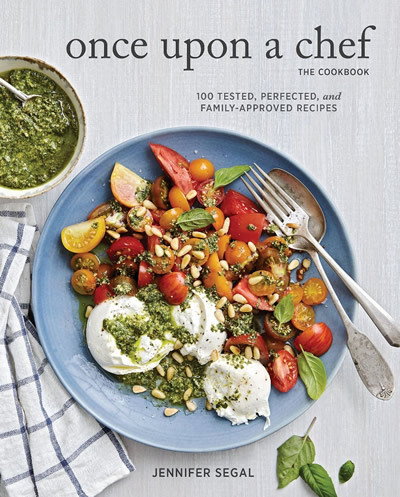 Cookbook is coming out in the spring! The cheesecake is good, especially considering that it is lower in calories than a traditional cheesecake. That said, I missed the smooth, creamy mouth feel that a cheesecake recipe with more cream cheese delivers. Likewise, I was a little disappointed that the almond flavor wasn’t more pronounced. Perhaps it was the brand of Amaretto that I purchased, but the orange flavor over-shadowed the almond. Loved the raspberry topping using Smucker’s seedless raspberry jam. Easy and delicious! Will probably make the recipe again as it is a good lower fat option, but for a “cheesecake to impress,” I’ll continue to turn to my NY-style cheesecake recipes. I love this version of a traditional ricotta cheesecake; it is lower in sugar than most and has a nice “cheese” flavor unlike many. A friend of mine made this with a baking sugar substitute and she tells me it was even more delicious because she knew it wouldn’t make her blood sugar spike!!!! Thanks Jenn!!!! Hi Toni, It sounds like you are just looking at the portion of the page that has the pictures with some instructions underneath. If you scroll down a bit to under the pictures, you’ll find the full recipe. Alternatively, at the very top of the page, you can click the “recipe” button right under the recipe title. Awesome. Easy. Delicious. Beautiful. Came out perfect on the first try. Substituted pecans for almonds in crust and Cointreau for Amaretto in filling. This will be a regular holiday dessert fo us. I made the cheesecake for Easter and it looked and tasted wonderful. My only complaint is that I substituted 1/2 c. almond flour for ground almonds as recommended in another comment and the crust was both tasteless and soggy after a few hours. I don’t understand why you would rate this recipe less based on the fact that you altered the recipe as posted. Your rating is on the other comment then, no? Hi Karen, You could substitute almond flour here, but it would be less than 3/4 cup (as the once the almonds are chopped in the food processor, they take up less volume). I think you’d need about half that much almond flour. And you can just omit the amaretto, but if you’d prefer to substitute lemon juice for it, that should be fine too. Lmk how it turns out! Everyone loved this recipe! It’s a picture perfect cheesecake. Another great recipe! Another fabulous recipe! I made this to take to a dinner where there were gluten issues, so I substituted rice flour in the crust. It was a huge hit! And we are Italian – we know our ricotta cake! PS: I didn’t have almonds so I used my almond flour instead for the crust. That worked out fine. Can almond extract be substituted for the amaretto? If so, in the same amount? Hi Christina, I would use 1 tsp more vanilla plus 1/4 tsp almond extract (it’s very strong). You could also just omit the amaretto if you want. Hope you enjoy! Where are the ingriedient quantities? I don’t know how much nuts or sugar or salt to put. I need the quantities. Thank you . Hi Omar, It sounds like you are just looking at the portion of the page that has the pictures with some instructions underneath. If you scroll down a bit to under the pictures, you’ll find the full recipe. Alternatively, at the very top of the page, you can click the “recipe” button right under the recipe title. Can I use almond meal for the crust? I assume you mean instead of the slivered almonds? If so, yes. Hope you enjoy! This recipe looks wonderful and i’m interested in making a lemoncello cheesecake. Do you think i could substitute the amaretto for lemoncello? Hi Stacy, I haven’t tried it with lemoncello, but I think that should work. I’d love to hear how it turns out! I love cheese cakes especially the dense texture of the american style. This is a lighter and delicious variation though. I made just a small change on the topping did not use jam and whole raspberry but made a syrup with lemon juice and powder sugar , added the smashed raspberry, filtered the mix to take off the seeds to create a nice syrup to pour on top of each slice. Yummy!!!! Thank you Jennifer for another great recipe!!! Can I make this in a 7″ springform pan? What modifications would be needed? I plan to make this in my pressure cooker like I’ve done other cheesecakes… and I really want to try this!! I love your other recipes. Hi Melissa, I had no idea a cheesecake could be prepared in a pressure cooker! Yes, you could get away with a 7-inch springform pan here. The baking time should be 5 to 10 minutes longer, but keep an eye on it. Enjoy! Thanks! You don’t think it’ll be too much for the 7″ pan? I’ll let you know how it turns out! If it’s a bust, I’ll make it in the oven! It will be deeper, but I think it should work. LMK how it turns out! Can the recipe be doubled to make a somewhat deeper cake? Will a 9″ springform pan still be able to accommodate the doubled-up recipe. If the 9″ pan will suffice, how much time should be added for baking the doubled recipe? Hi Alan, I think the doubled batter would fit in the pan, but will obviously be much deeper. I honestly don’t know how long it will take to bake, so I’d just keep a close eye on it. Hi Nicole, I would use the regular setting on your oven (no fan) and I’m really not sure about timing as it depends on how deep the individual cakes are. I’m guessing maybe 15 minutes, but definitely keep any eye on them. Delicious cake! I made this for my husband for his birthday. He is a cheesecake lover and he approved! I used rum instead of amaretto and that worked great. The crust was yummy. I may try to make and use more crust next time, but it is good as is too. Thank you. 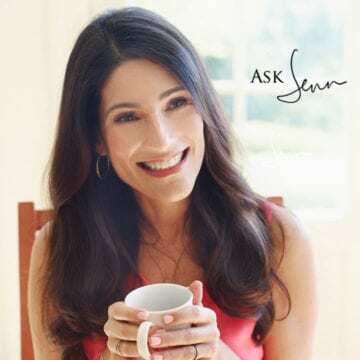 Hi Jenn, this recipe tastes very similar to my late mother-in-law’s cheesecake, except this one has a slight egg taste. Could I reduce the number of eggs to 2? Hi Meghna, I wouldn’t suggest reducing the eggs in this recipe– sorry! Can I substitute potato starch for corn starch? Just realized i don’t have it in my pantry. Hi Karmela, I haven’t tried this with potato starch, but I think it should work. Where you list the nutritional information – the carbohydrates are 32g but the sugar is 22g. Normally when they list carbohydrates the sugar is under the carb category. Are you saying that 22g of the total carbohydrates are sugar and the remaining 10g is whatever other types of carbohydrates there are? I would love to make the recipe but want to make sure that I can have a small slice because right now I’m struggling with gestational diabetes. Hi Ashli, Because I’m not a nutritionist, I use a program to calculate the nutritional info for each recipe. Without having much knowledge in this area, I would suspect you’re right– that 22g of the total carbs are sugar and the remaining 10g are other types of carbs (but don’t quote me on it :)! I live at 7000 feet. You need to bake the cake a little longer, that’s all. 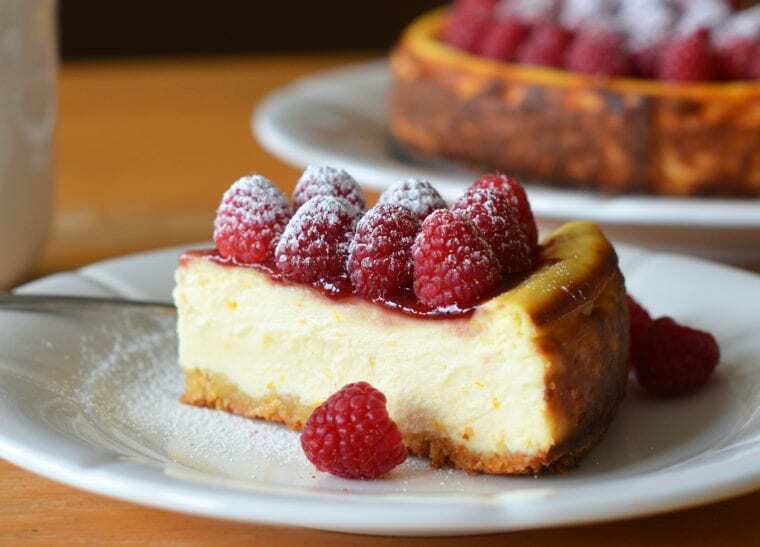 Cheese Cakes are not affected by the altitude as they contain no leavening (baking powder or baking soda). They only require a bit more time in the oven. It should remain slightly softer in the middle, but not too jiggly. Great recipe, as always, Jenn! Absolutely delicious. Although I made a little more crust to make it thicker. I have an 8 and a 10 inch springform pan, so just checking that it would be best to use the 10, right? I feel like this might be a silly question! I am Italian, and I always make the Juniors Famous Cheesecake from their cookbook. However, we are big fans of ricotta, so I am eager to try this recipe! 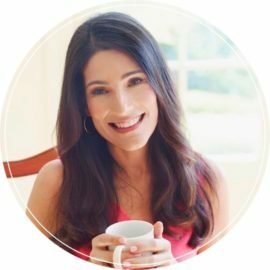 I thoroughly enjoy your website and the recipes you share! I appreciate the way you provide very clear instruction, as well as sharing recipes that we home cooks are able to enjoy and share with confidence! Hi Doreen, I’m glad you’re enjoying the recipes! Yes, I’d go with the 10-inch springform pan. The cooking time will be slightly shorter. I’d check it at about 45 minutes. Enjoy! What Can I use instead of Amaretto? They don’t sell it where I live or close to where we are. Hi Sara, you can just omit the amaretto or use Frangelico in its place if you have that. This is AMAZING. The best-tasting cheesecake I have ever tried. Very creamy and smooth, like how a good cheesecake should be. And it is so easy that I could get it right on my first try! This is the 4th recipe I have tried from your website. All of them were fantastic and do not disappoint! Hi Sam, I think about 1/2 cup of almond meal should work here. Hope you enjoy! Can I make this with just cream cheese and no ricotta? if so what would be the amount of cream cheese to use? Thank you for the lovely recipes!! Hi Yara, Not certain how this would turn out with just cream cheese. I would suggest using the crust from this recipe and searching online for a classic NY-Style cheese cake. Hope that helps! Can I use almond meal instead of grinding up almonds for the crust? Yes Rosanne, that’s fine. Enjoy! Loved this recipe. Had several people comment on it and ask for the recipe. Its such a refreshing taste compared to the very dense and rich traditional cheesecake (which I still enjoy:)). I have baked cheesecakes for 40 years and never have I seen a recipe that was as uncomplicated as this one. And yet it still looks (and tastes) like I spent extra time on it! This will be my new go-to recipe! Thanks Jenn! This cheesecake is absolutely beautiful and delicious. The crust is so much better than a graham cracker crust. I prepared the cheesecake per the instructions except I had to substitute Triple Sec for Gran Marnier. The cheesecake did continue to set after removal from the oven. It fell and cracked slightly during cooling which formed the perfect well for the jam and berries. Thank you for this great recipe. Lots of oohs and aahs from the family! Fabulous crust and delicious cheesecake. I have some cheesecake connoisseurs in the family and this one passed the test! Thank you! Love the ricotta cheesecake recipe. can’t wait to try it. but I will try with other sweetners because I can’t have sugar. Thanks for the recipe. love your facebook page. I made this for thanksgiving dessert. I used a raspberry /cranberry sauce to top it instead of whole berries. It was a big hit! Hi there, thanks for the recipe! American style cream cheese is hard to find and really expensive where I live. Can I replace the cream cheese with ricotta (essentially only using ricotta in the cheese cake)? Do you think that home-made ricotta would work? Thanks! Hi Brooke, Homemade ricotta is fine but I don’t recommend all ricotta — the cake will be a little dry and grainy. Are you able to find mascarpone? Hi Diane, I don’t but I’ll keep an eye out. Made this for a family BBQ on the weekend, everyone loved it. Thank you again for a delicious recipe. This is absolutely the best cheesecake I have ever made. I used fresh blackberries along with the raspberries because my bushes had not yet produced enough raspberries. The crust was unbeatable–I just ground up raw whole almonds. This recipe is a keeper! Any temp/time mods for high altitude? My cake was not solid in the middle and solid but gritty on the edges. Is the gritty texture due to the ricotta? Can you describe what the texture of the cheesecake should be? I look forward to perfecting this recipe. Thank you. This cheesecake is absolutely beautiful, and so delicious! It’s looks so fancy, like it came from a professional bakery. Loved it! This looks wonderful. I need cheesecake for 12. Can this be made in square pan and cut in squares for servings? Thank you so much for your quick response! I’ll post a picture to your FB page! What adjustments would I need to make if I wanted to make individual serving size cheesecakes in ramekins? Hi Patty, The only change would be to reduce the cook time; I’d start checking at 20 minutes. I made this cake with my 4 year old and we had a lot of fun. I think I could just eat the creamy part alone as a pudding like dessert. The cake came out delicious. We swapped Grand Marnier for the Amaretto. Everyone was very impressed with the cake. Delicious recipe – been wanting to make a ricotta cheesecake forever. My new favorite dessert. Love this blog! After trying a few of your recipes I was very excited to try the cheesecake recipe. I followed your instructions, but I did have to cook it a little longer and increase the temperature to get it to set. After cooling it then refrigerating it, I served it to my guests, and to our great disappointment it was not creamy but very gritty. Any ideas what may have happened? Hi Teri, So so sorry you had trouble with the cheesecake. My guess is that the grittiness came from overcooking and turning up the temperature. It is important to cook cheesecakes at 325 for the best texture — and it really is done after 50 minutes, even though it looks very jiggly in the center. The cake continues to cook as it cools. I AM VERY IMPRESSED WITH YOUR RECIPES. I CAN’T WAIT TO TRY THEM. Do you have a cookbook? Jen, Made your cheesecake recipe this weekend for my extended family and it was hands down the best cheesecake I’ve ever made. Not only that, it was easy and gorgeous looking…just like the picture. Thank you for always making me look good! How many calories compared to regular cheesecake? Hi Gwen, The nutritional data is beneath the recipe. Calories are probably about the same. I made this exactly how you posted and it was awesome, but I had to cook it at a higher temperature, 350 for almost an hour and a half. What do you think I did wrong? We have made alot of your recipes and have never been dissapointed , you are our goto when it comes to making something new. Thank you for time for this website. Hi Billy, Thanks for your feedback; so glad you are enjoying the recipes! It is difficult to tell when a cheesecake is done — the middle will jiggle a lot and look completely undercooked when, in fact, it is done. If your oven temperature is accurate, this cake shouldn’t take longer than 50 minutes. It’s done when the edges are set and the middle is still quite wiggly; it continues to cook and will set completely as it cools. It’s very rare to find fresh ones in Israel. Hi Judy, Don’t think it will look pretty with frozen but you can top with any other berry instead. Hi Alison, Yes, actually, the original recipe calls for the filling to made in a mixer with the paddle attachment. The crust still needs to be made in the food processor, though. Good luck! While I can’t review it (yet), and I don’t have a question (yet), I do want to thank you for solving my, “What should I make for Mother’s Day dessert?” question. It looks scrumptious! Thanks Jenn! I have a nut allergy so what could I use instead of the almonds in the Ricotta Cheesescake? Thank you. Thanks for the recipe. I love ricotta cheesecake but would like a lighter, lower fat version. What adjustments would you recommend to reduce the fat and sugar content of this cake? Hi Helen, Go ahead and try it with low fat ricotta and low fat cottage cheese — won’t be quite as rich and creamy but should work. The cake is not that sweet so I’d be reluctant to reduce the sugar, but you can omit the raspberry jam and cover the cake simply with fresh raspberries. Good luck and please let me know how it comes out. But, I’ve got a nut allergy in the family! Do you have a recommendation for a nut-free crust? And perhaps something to take the place of the amaretto? A graham cracker crust will work just fine, and you can omit the amaretto. Enjoy!